You know I love flavors and that I tend to go a little crazy when I find one I love! Making everything possible out of it. 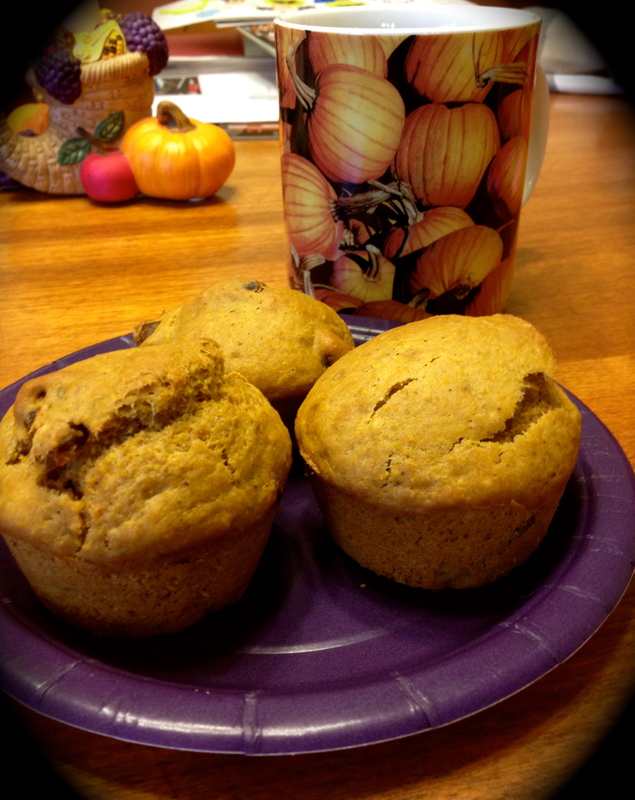 Like pumpkin, I love pumpkin (and actually this fall inherited a lot of pumpkin) so was making muffins, pies, ice cream, etc. Experimenting with all different kinds of recipes. My recent obsession is gingerbread. Always fabulous this time of year and something I really enjoy. I love ginger in general and am often making fresh ginger tea and drinking it daily. (Ginger also has a lot of health benefits, like aiding with colds and flu, as well as prevent and eliminating nausea). 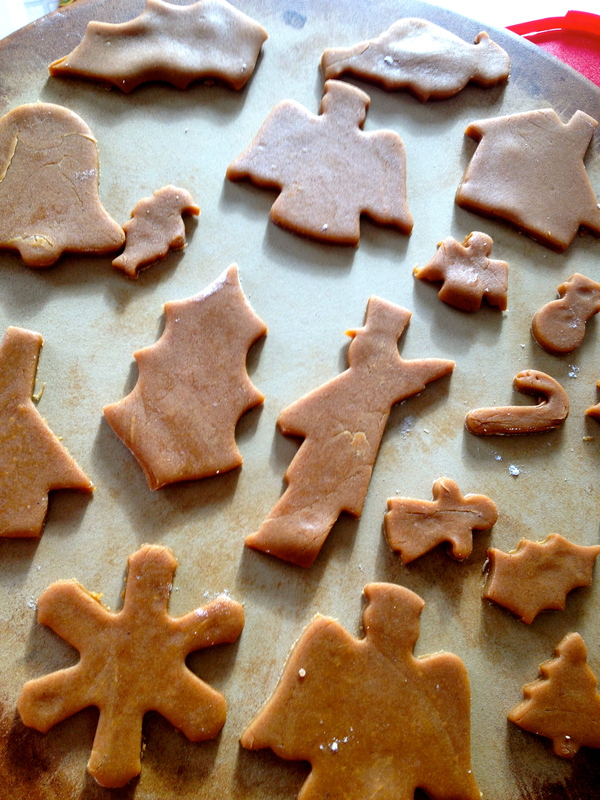 But I had never really thought you could do much more with gingerbread than cookies. I had tunnel vision and could not see out of the box. Cookies are the only thing right? Then last month I discovered a recipe for gingerbread waffles. Of course I knew right away that we had to try it. They were fabulous! and everyone gobbled them up. Which got me to thinking there must be other variations of gingerbread something out there. 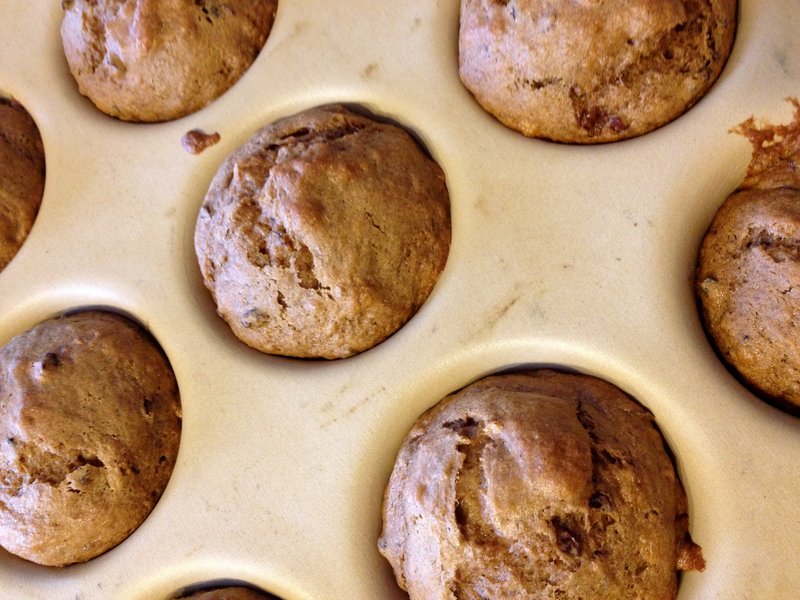 So I started looking – I had so far, cookies, waffles… what about muffins? 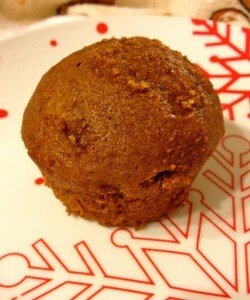 Gingerbread muffins would surely be delicious. I did a quick Google search and a number of recipes popped up. I looked at a few, picked the one I liked the best and whipped them up yesterday! Ok I tried to whip them up, I had a bit of a baking travesty. I checked on my ingredients and thought I had everything I needed but as I went along I first discovered I was almost out of barley malt, then ginger, both I had just enough. Phew! Nope, didn’t have enough Earth Balance – shoot! So I mixed it all together and set it aside until after I could run to the store. 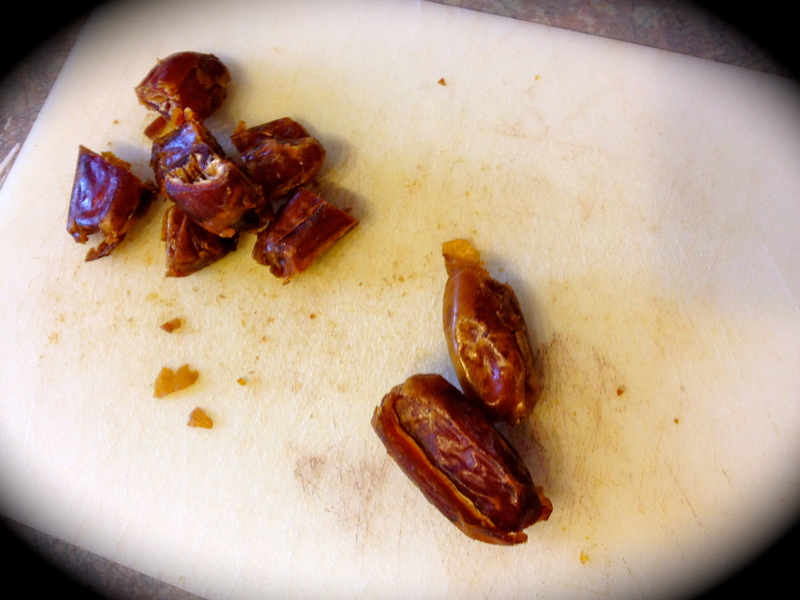 Once I had my final ingredient, I finished mixing them up and put them in the oven to bake. I was curious and of course so were the kids (they always want muffins!) They poofed up beautifully and smelled delicious. 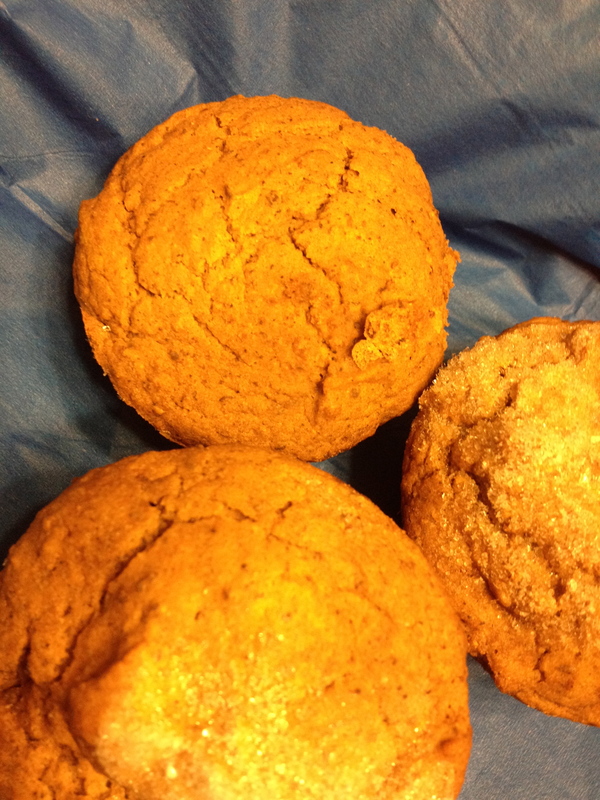 That lovely gingerbread smell wafting through the house afterschool…Yum! They were finally done, and after waiting a few minutes for them to cool, we dove in. 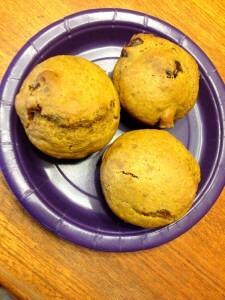 They were delicious, super moist with just a subtle gingerbread taste, not too overpowering. Now I prefer a little more of a gingerbread flavoring kick, so I am going to play with the spices in this recipe a little to amp up the flavor. Once I do that, I’ll report back to you 🙂 But since I have 36 muffins at the moment to enjoy I won’t be experimenting with that one for a little bit. You can easily half the recipe if you want to, 36 muffins is a lot, or you can bake them all and freeze them for later (if you remember they are in the freezer, personally I often forget that they are there and end up baking new ones anyway). Now that you are drooling, anticipating that warm moist gingerbread muffin in your mouth, here is the recipe. 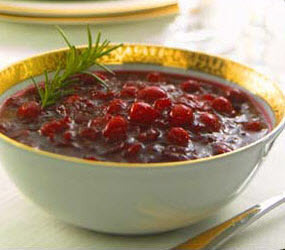 Completely sugar free and dairy free, it will be a hit at your house too! Combine all ingredients in a large bowl. 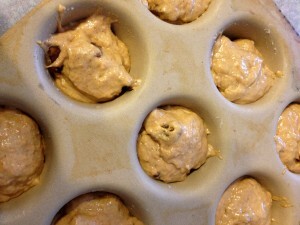 Lightly grease muffin tins with Earth Balance. Spoon batter into muffin tin about 2/3 full. Bake at 350 F for 20-25 minutes. 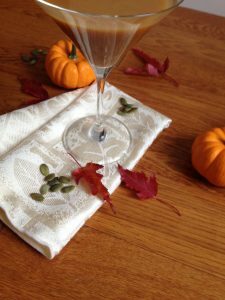 Last year when I was experimenting with different pumpkin recipes, I discovered, quite by accident a recipe for a pumpkin martini. Now I have never been a big martini fan but love pumpkin so thought that I would give this baby a try! Of course the original recipe calls for sugar and cream, both of which I had to adjust, but was able to do so easily and without compromise on taste. In fact, my friend who was not a big martini fan either, and really just enjoyed a good beer or maybe a glass of wine, loves these things! And told me just the other day (while we were sipping our pumpkin martinis pre Thanksgiving dinner) that he had no idea there was milk of any kind even in them! The first time I made them I followed the recipe, making all the necessary adjustments, doing the sugar rim, etc. But I found that the sugar rim was not to my liking and that I could easily do without it, which made things very easy in the sugar department, as the martini itself was sweetened with maple syrup. Being a natural sweetener I did not have to change it. For the milk I substituted coconut milk, though I have recently used almond milk in a pinch, and it works just fine. I do prefer and recommend the coconut milk though as it provides a creamier and a little sweeter taste. I use the coconut milk beverage (unsweetened) by SoDelicious, as it is a little bit lighter than the coconut milk you get in the can, though I am sure that would work as well. Now having enjoyed these martinis so much, I have ventured into the martini world and am trying/ discovering all kinds of great mixtures. Last Fall while in Banff I tried a new martini the bartender had just created with lavender, so good, and one recently at Halo restaurant in Calgary, called the Purple Dragon. 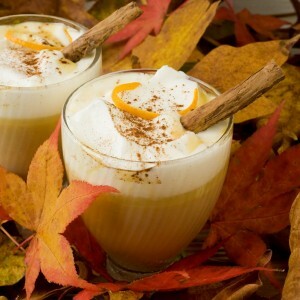 I do love the pumpkin ones though, well because there is pumpkin in it, and I can easily make them at home instead of paying $10 a glass while out. I have only one problem though, they are so good, it is hard to have just one! 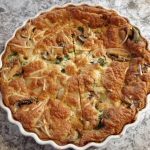 So if you’ve got some extra pumpkin leftover from that pie you made on the weekend, or just want to treat yourself and try something new, give this fabulous recipe a try! 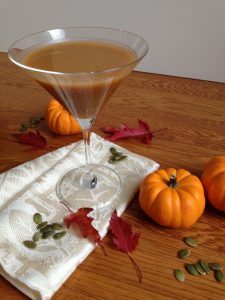 In a martini shaker filled with ice, combine the vodka, coconut milk, pumpkin puree, maple syrup, vanilla extract, and the pumpkin pie spice. Shake vigorously, then strain into the prepared glass. Like I said I enjoy it without the sugar rim, but if you choose to do so combine 1 tbsp. coconut sugar with 1/8 tsp. pumpkin pie spice on a plate. Dip the rim of martini glass in water then dip in the sugar mixture to coat. What are some of your favorite martinis? 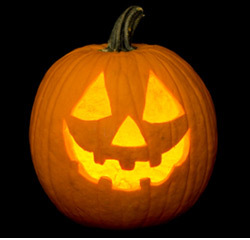 In the month of October there seems to be a lot of pumpkin about. From Thanksgiving feasts that include delicious pies and cheesecakes to Fall festivals and trips to the pumpkin patch, even right up until Halloween when we are carving pumpkins for the kids and all our trick or treaters. I love pumpkins. I not only love the taste, but I love the bright orange color they are, the unique shapes and sizes and all the different things that you can do with pumpkin, from eating and recipes to decorating and crafts. I do have to say that I tend to lean towards the pumpkin food items the most, as I really do enjoy those. And lately I have been finding all kinds of pumpkin delights that I have tried or am about to try such as pumpkin pancakes, muffins, latte, fudge, cheesecake, ice cream and of course pie. I even discovered a recipe for a Pumpkin Gooey Butter Cake, which though I have to make a few dietary adjustments I can’t wait to get it into my oven and more importantly in my tummy! 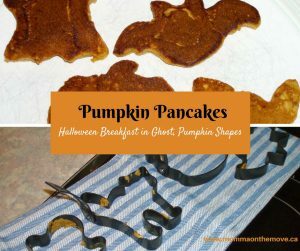 The pumpkin pancakes I discovered a few years ago when I bought Halloween pancake molds that came with the recipe (those are so fun!). The pumpkin spice latte is a slow cooker recipe I discovered last year and made for the first time last week for my open house. The fudge I have yet to try but believe me I am all over this and it won’t be long! And I have always loved pumpkin muffins, though I have been dappling in some new recipes. I always enjoy variation and who knows you might be missing out on something even better if you don’t at least try it! I am not sure what it is I love about pumpkin dishes so much, but I am sure that it also has to do with the allure and smell of all those delicious spices that go in it; like ginger, cinnamon and cloves. Mmmm… just the thought of it makes me feel all warm and fuzzy inside. 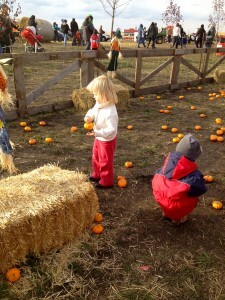 My greatest (and most fun) pumpkin discovery this Fall was actually not a food item. Which is ok, I was just super surprised at whoever came up with this as it is so simple, yet so ingenious. 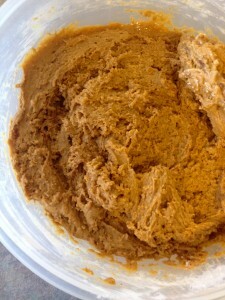 It is Pumpkin Play Doh! I thought this was fabulous! My kids loves playdoh and what a fun way to tie in a theme, those spices we love and play and create at the same time. I found the recipe on another blog While He Was Napping. 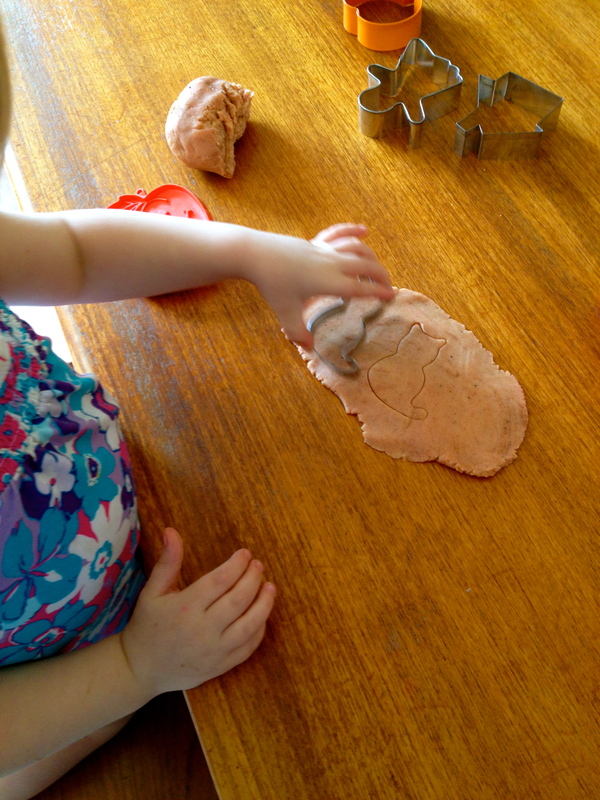 She makes her playdoh on the stove top which I am sure works well, but I have my own playdoh recipe I decided to use and adjust instead (as it is just a mix everything together, I like to avoid extra pots and pans). All I needed to do was add my pumpkin pie spice and color it orange. Presto! Pumpkin Playdoh. The twins loved it! 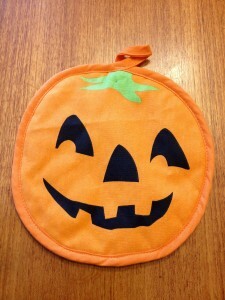 Thought it was the most fabulous thing ever, yeah it was playdoh but it was new and it was pumpkin! Even Matthew and his friend smelled it and said it smelled really good. 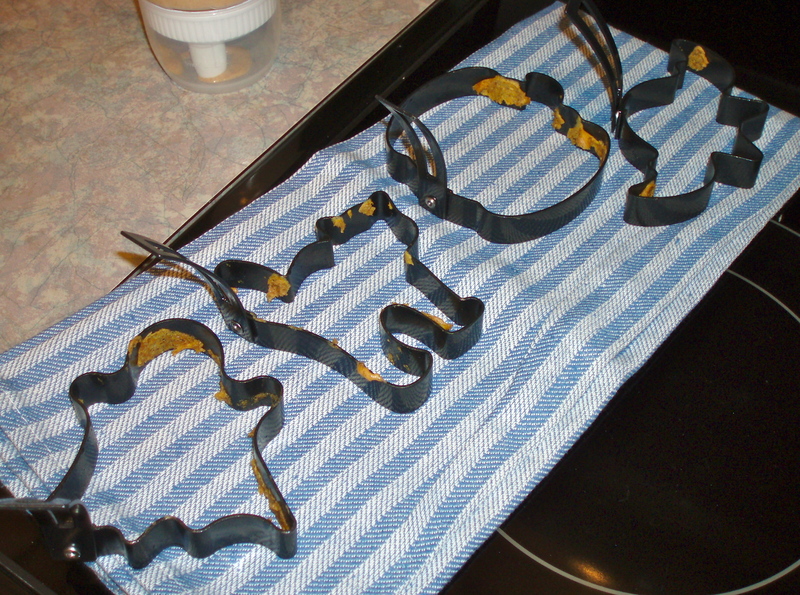 Plus I played it up a little, got out the Halloween cookie cutters for them to use and sat down and played with them for a while. Chloe loved making pumpkin hair for the Fuzzy Cuts Barber Shop we have. Luke just rolled it and created as he usually does. Fun was had by all. Mix together. Knead well. Add in orange food coloring. Knead again until well mixed. Store in ziploc bags. 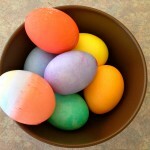 *For ordinary playdoh simply omit the pumpkin pie spice and add whatever color of food coloring you want. Batch is fairly large – so can easily be divided to make a few different colors or scents. Pumpkin Cheesecake – Absolutely to die for! 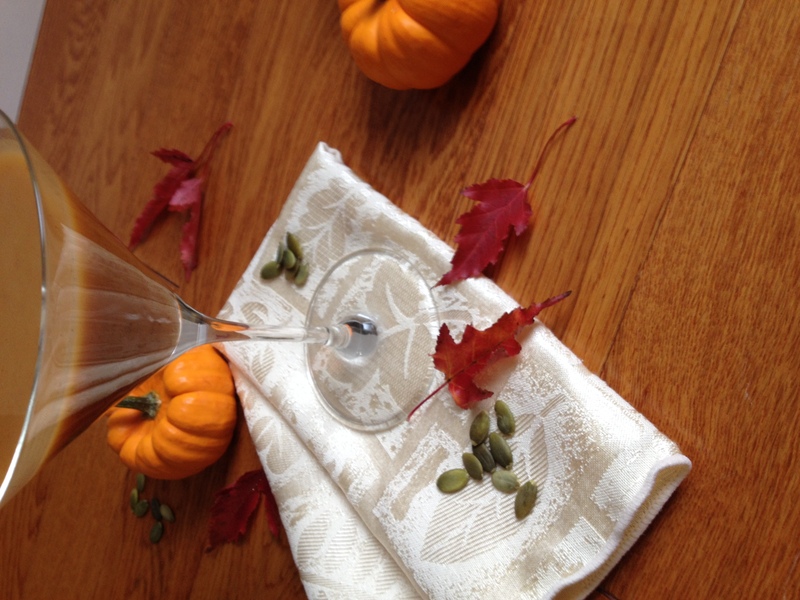 It’s coming… Thanksgiving and all things pumpkin! 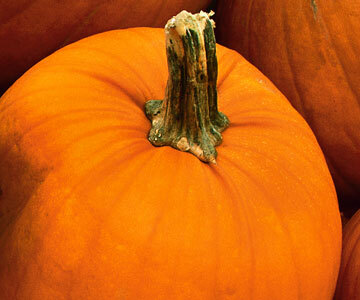 Big feasts, meals with friends and did I mention pumpkin? 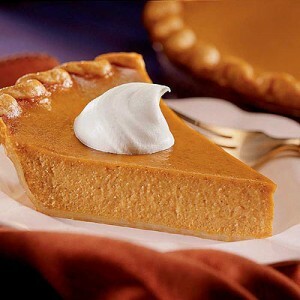 I love pumpkin and all things related to it, especially pumpkin pie. And Thanksgiving seems to be the only time of year that I make or get some. Of course with any pie you can make any kind any time you want. But I seem to fall into the times of the year when they are most prominent, as I imagine do many of us. So though I love pumpkin pie and it is my favorite, I do only get it once a year. Every year at Thanksgiving I decide I am going to try a new pumpkin recipe, as my sister often makes things like pumpkin ice cream, pumpkin tarts and pumpkin cheesecake. And though I love to branch out and try new things I tend to fall back to my pie. What can I say? It seems just wrong to not have it. This year I truly did branch out and I made a pumpkin cheesecake for the first time. Not specifically for Thanksgiving, because of course I will make pie, but around the right time 🙂 I found a recipe on Pinterest that looked really good and thought that I would try it. Being dairy free I thought that I would just have to avoid cheesecake altogether. During the summer my friend decided to try a tofu chocolate cheesecake, which gave me hope. I thought that it would prove to be quite good. Not so much. Though not terrible we both agreed that we would not make it again. Then, I remembered that they make non dairy cream cheese and I had tried it before and liked it, so why not just substitute that into a regular cheesecake recipe? This got me very excited so I went to work. 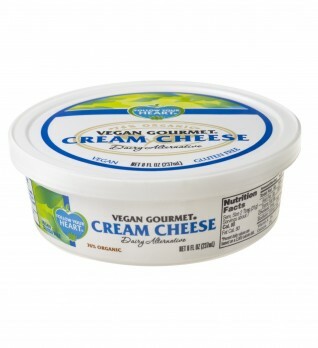 After I got over just how much cream cheese this recipe called for; I went out got the ingredients and looked at what other substitutions I needed to make. The crust was a bit of a challenge as it called for graham wafers, but I came up with a solution using almond mash leftover from making almond milk, as I had done something similar making a pie before. I substituted coconut sugar for the sugar and then of course the non dairy cream cheese and sour cream (yes this recipe called for sour cream which was another reason why this particular cheesecake recipe intrigued me). Now this recipe is not one that you can just whip up and have ready in an hour. In fact when I finally went to make it I looked at the recipe, and in reading it more closely almost aborted the whole idea. It was a lot of time, a number of steps and would not be fully ready until the next day (as when it was finished baking you had to let it sit in the fridge overnight). Let me tell you it is totally worth it! This cheescake is absolutely fabulous, moist, creamy and flavourful. All the kids asked for a second piece and D’Wayne looked like he was in heaven. It was absolutely delicious! I think Matthew even licked his plate and then asked for a third piece of cheesecake (to which of course I said no). 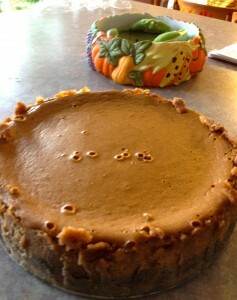 So if you are a fan of cheesecake and even a remote fan of pumpkin this recipe is worth the time and effort put into it. 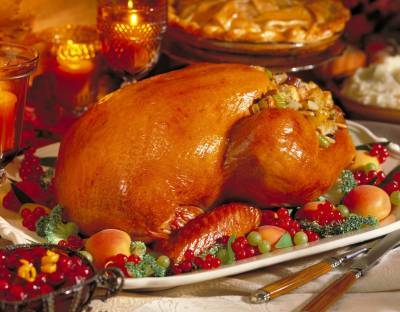 And the nice thing is, dairy free, sugar free, gluten free all equals guilt free and will impress every one of your guests this Thanksgiving. Postion rack in center of oven. Preheat to 325 F.
Brush a 10 inch springform pan with 1 tbsp. of Earth Balance. In a bowl, stir the remaining Earth Balance in with almond mash, coconut sugar and a pinch of salt. Press mixture into bottom of pan and up the sides. Bake until golden brown about 15-20 minutes. Cool on a rack, then wrap outside of pan in tin foil and place in a roasting pan. In a large mixing bowl beat the cream cheese until smooth. Add coconut sugar and beat until just light. Add sour cream, then pumpkin, eggs, vanilla, 1 tsp. sea salt and spices and until just combined. Pour into cooled crust. Gently place roasting pan into oven (do not pull the rack out). Pour boiling water into roaster until water is about half way up springform pan. Bake until the outside of cheesecake is set but the center is still loose, about 1 h 45 min. Turn off the oven and open the door briefly to let out some heat. Close oven door and let cheesecake sit for 1 more hour. Carefully remove from roasting pan and let cool on rack. Run a knife around the edges, cover and refrigerate for at least 8 hours or overnight. 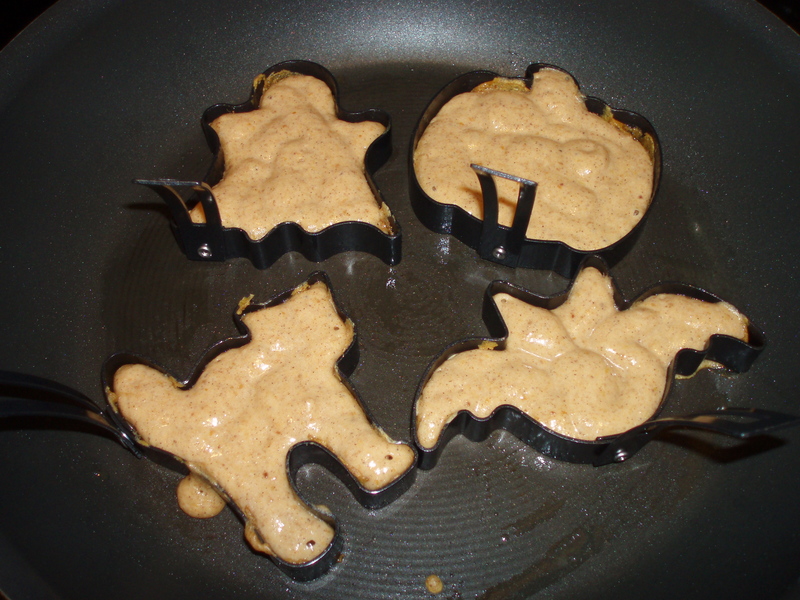 Last year I made Pumpkin pancakes Halloween morning for the kids. I found these mini Halloween pancake molds at Williams Sonoma -in the shape of a cat, pumpkin, bat and ghost. It came with the pancake recipe so I thought I would try it out. It was so fun! It was a great way to start the day and to make it fun especially when meeting our no sugar requirement. 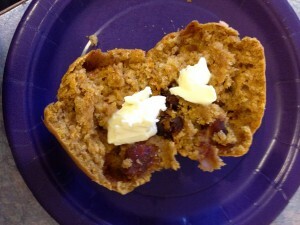 I am planning to make them again this year, except I will make them the night before and reheat them in the morning. Because Halloween falls on a school day, I would have to get up quite early to make them fresh and I am having a hard enough time getting up on school days as it is 🙂 It’s way too early for me. When using the molds there are a few tips and tricks that I would recommend in order to make your pancake making experience successful. First, is to buy a pancake pen. They are also available at Williams Sonoma and it is well worth the money spent. You fill the pen with batter on one end and then you squeeze it out of the tip on the other when you are ready. It has a cover on the “pen” end so you can stand it up with the batter at the end and ready to go. This is way easier and faster than spooning it into the molds. Second, make sure that your griddle or pan is hot before you start and that you grease the pancake molds with a little bit of oil. They are non stick molds but you still need that extra grease to keep the batter from sticking, especially in the corners. And even with that I found that I had to gently push around the edges with a butter knife to get them to come out. And grease them EVERY time you put in a new batch of batter. Third, don’t overfill the molds. If you use the recipe below they will puff up so only fill them about halfway. If you overfill them they will be hard to get out regardless if you grease them. Fourthly, they do have little handles on them to help you take them out, but they become hot as they are metal like the rest of the mold – make sure you use a pot holder or oven mitt to handle them. Interestingly last year I discovered I had no pot holders as I never found them to be useful and were just taking up space, so I gave them all away. Now I have found a reason to have at least one around, as using an oven mitt is too bulky and awkward to handle the molds. Fortunately I found a Halloween pumpkin pot holder on sale after Halloween last year, so I’ll put it to perfect use. 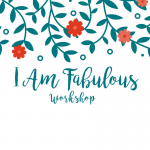 My last tip is be patient with yourself and give yourself enough time to make them; hence doing them the night before. I have to admit they are a bit finicky to make but once you get the first few under your belt you get the hang of it and it becomes easier. By the time I was done my batch I could get the pumpkin and the ghost shapes out without having to use my butterknife around the edges. And oh they are delicious! The kids loved them. They found the shapes super fun and now ask for them each year. So try something unique this Halloween for breakfast; even if you don’t have the molds the kids will still gobble them up. You could Hallloween -ish by simply make faces on them using pieces of fruit like sliced bananas, blueberries, strawberries, apples, etc. 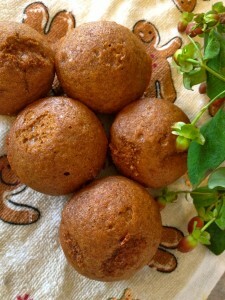 I adjusted the original recipe to sugar and dairy free to meet our needs and is the recipe posted here. In a large bowl whisk together flour, date sugar, baking powder, baking soda, salt, cinnamon, ginger and allspice. Set aside. In another bowl, beat the egg whites until medium peaks form. Set aside. In another bowl, whisk together the egg yolks, pumpkin puree, rice milk, Earth Balance and vanilla until well combined. 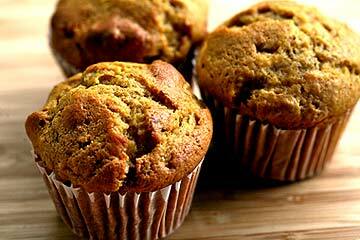 Whisk the pumpkin mixture into the flour mixture just until the batter is smooth and no lumps of flour remain. Fold in egg whites in 2 additions. Heat griddle over medium heat until a few drops of water flicked onto the surface skitter across it. Lightly grease the griddle and the inside surface of the mini pancake molds. 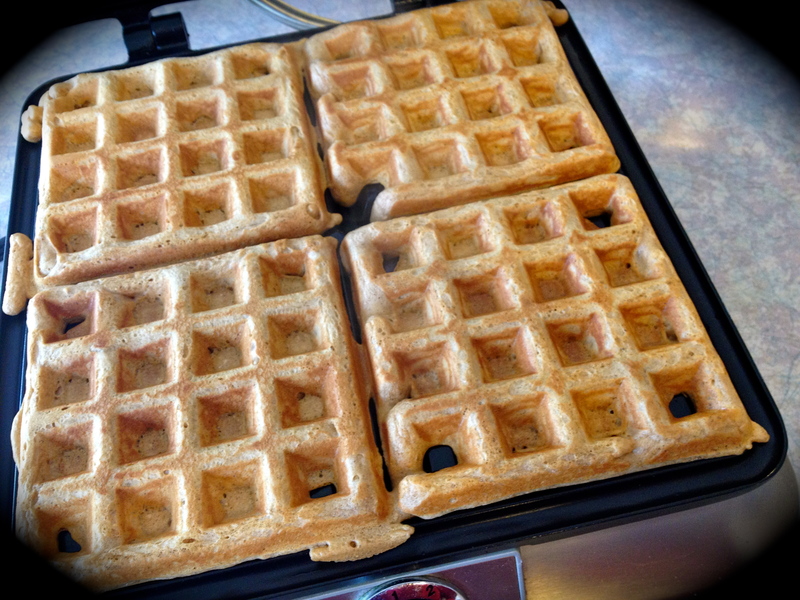 Set the molds with handles up on the griddle and heat until hot. 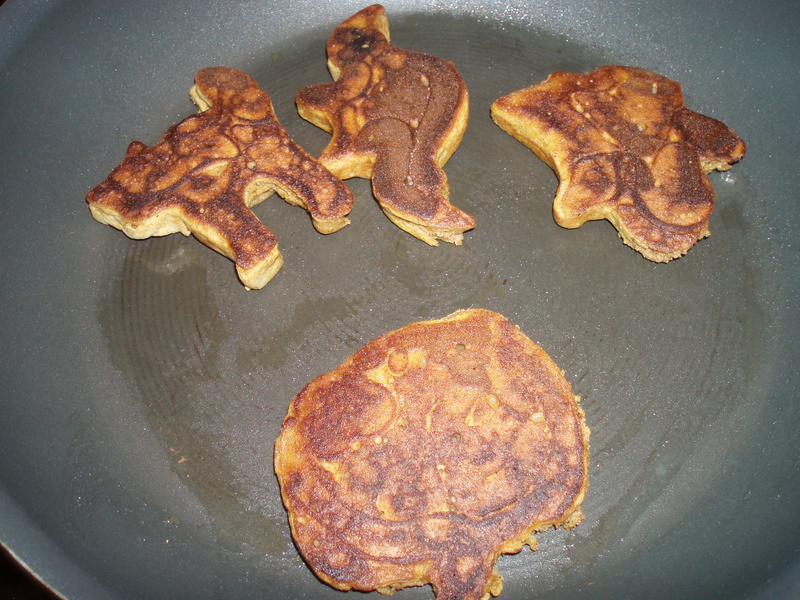 Pour 1/4 c. pancake batter into each mold. If necessary use a butter knife of small spatula to spread the batter into the corners of the molds. Cook until bubbles form on top and the batter is set, 3 to 4 minutes. Remove molds, and flip the pancakes over. Cook until golden brown on the other side, about 3 minutes more. Keep warm until all pancakes are cooked. Makes between 24-32 pancakes. *Please note that if using essential oils in this recipe to ensure that your essential oil brand is safe to take internally. 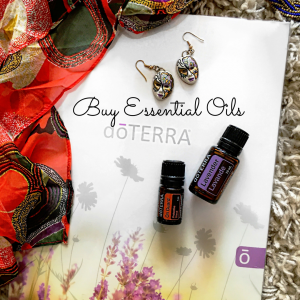 Not all essential oil brands are created equally and some use synthetic fillers and chemicals in their processing of the oil or added to the oil itself. 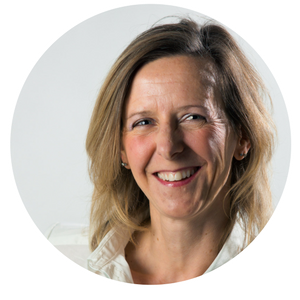 Due to no governing regulations on producing essential oils a company can say they are 100% or Organic. Due your due diligence and research the brand you are using to ensure your safe usage. Fall is my favorite time of year. The vibrant colors, the leaves changing on the trees. 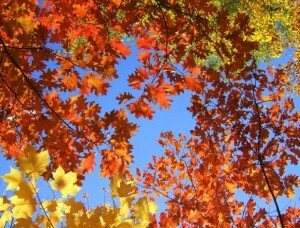 I often find a sense of renewal and excitement in the fall. 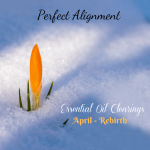 Change and new beginnings, an expectation of things to come. Now I know that spring is typically the time for renewal and new things but for some reason this applies more to me in the Fall. There is just something about the energy, the way the warm sun glints through the trees, the crisp cool mornings, and the cozy afternoons. It’s magical, inviting and I look forward to it every year. I also enjoy all the activities that you can do in the Fall with the kids, the Fall recipes like warms hearty stews, specialty coffees like Pumpkin Spice Lattes, the bonfires, the festivals. It creates a warmth, a coziness and welcoming feeling that I love. 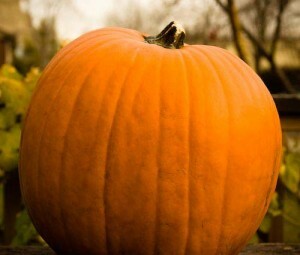 It’s the time of year that I start to light more candles and fill my house with scents of pumpkin, cinnamon and cloves. 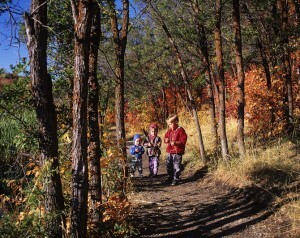 It’s also a great time of year to be outside enjoying the warm sunny autumn afternoons. 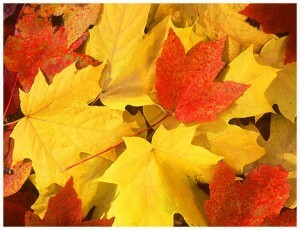 One of my favorite things to do in Fall is to just go for a walk, letting the kids explore and play in the leaves. The leaves are the best part of Fall. Whether we are kicking them up and dancing with them as they blow in the wind or gathering them for crafts and decorations for later. 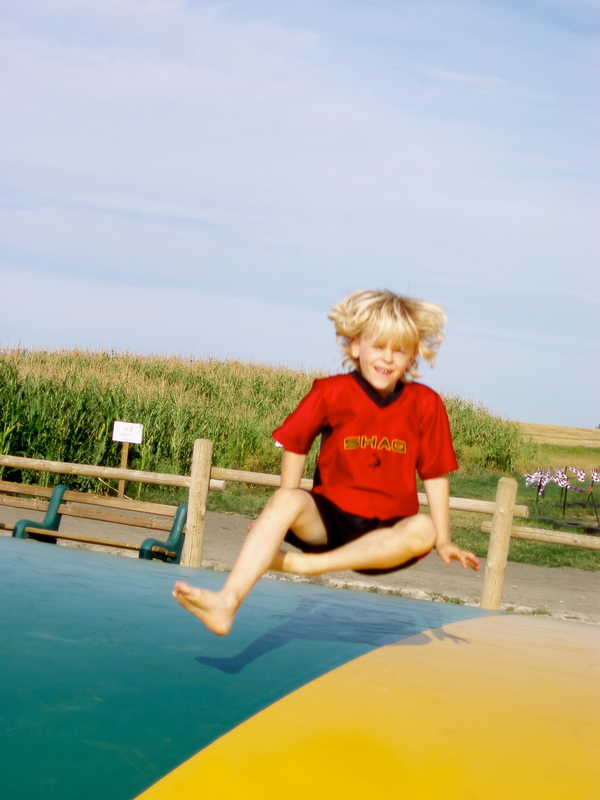 And I still love jumping in them! When I was growing up my sisters and I would love raking up the leaves, piling them high and jumping in them. 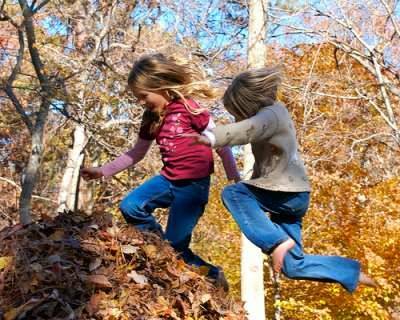 Now as a parent and adult I love to jump in the leaves with my kids. 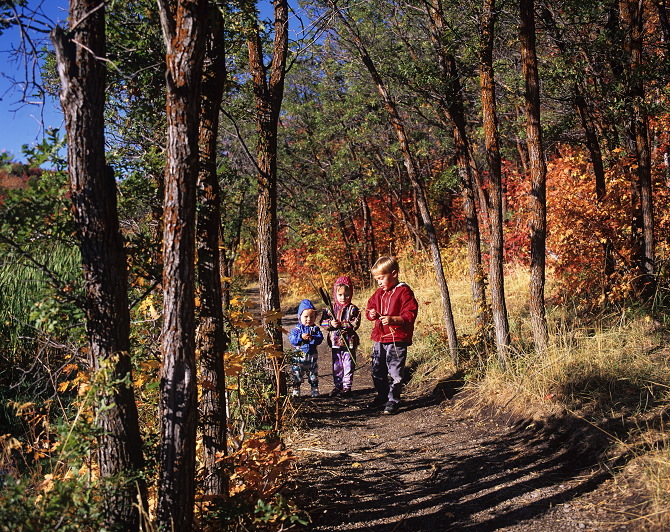 Taking the kids out for a walk is a great opportunity for them to not only have some fun but to teach them to learn about and appreciate their natural environment. There are lots of simple activities you can do while you’re out with very little equipment. If you bring a few items with you such as a magnifying glass, some paper, crayons, pencils and a cloth bag, this will get you started. Have the children pick a tree, then take a piece of paper and a crayon. 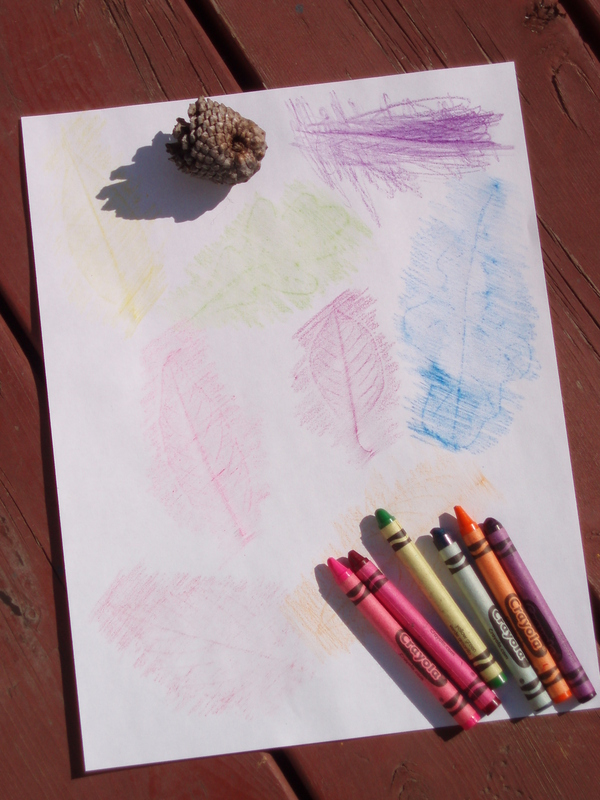 Put the paper up against the bark of the tree and then gently rub over the paper with their crayon. Younger children may need assistance holding their paper. Once they are finished they can leave the tree rubbing on it’s own or then add to it and make it part of another picture. They can also do leaf rubbings with leaves they have found on the ground, but will need a flat surface to do the rubbing. If there is nothing close by then take the leaves home and they can do the leaf rubbings there. Have the kids gather a variety of leaves, different shapes, sizes and colors. 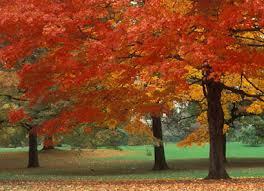 (Please note to get the children to take the leaves off the ground not off the trees!) 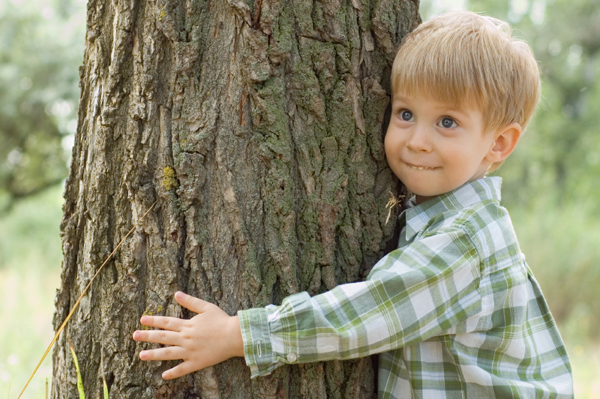 The kids will love gathering them and it is an easy way for them to explore and teach them about the different kinds of trees. 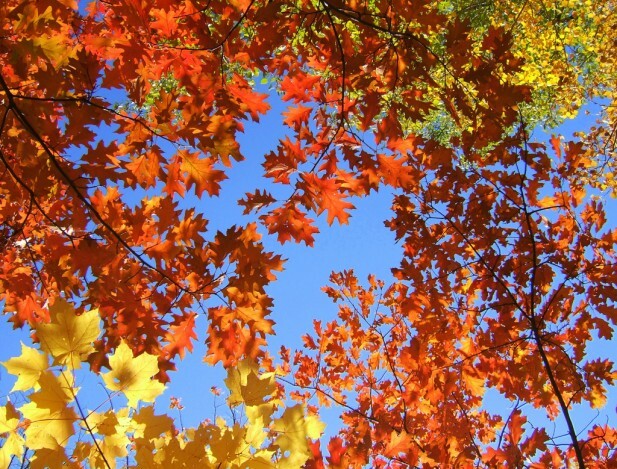 Take a moment to help them figure out which leaves belong to which trees. If you aren’t familiar with which trees are which, you can get a tree identification book from the library. With young children only talk about one or two, with older more. With their gathered leaves they can also make a bouquet to put in a vase and use as a centerpiece on your table, or cut a circle out of cardboard and glue the leaves on to make a leaf wreath. They can trace their leaves on construction paper using different colors, cut them out then decorate their room or a part of the house. 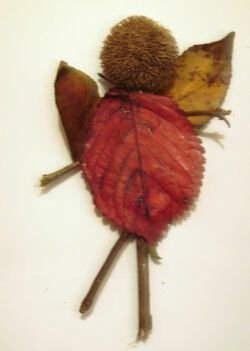 Also using construction paper they could make their own Autumn tree by cutting out a trunk and glueing the leaves on the branches or creating leaf people out of their leaves. Younger children may need help with cutting. This is an environmental game that I do with all ages of children, from my 2 year old twins to the Leaders in Training who are 12-14. You can adjust it accordingly depending on the age of the children but the premise is the same. In partners, one is blindfolded and the other leads their partner to a tree. While blindfolded they explore the tree using their other senses. Touch, smell, etc. Once they feel that they have explored the tree thoroughly then the partner takes them back to where they started, removes the blindfold. The blindfolded partner then goes and sees if they can find their tree. 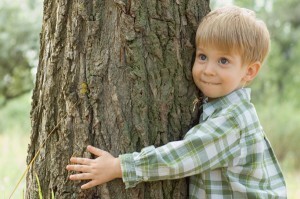 With younger children use a small area with only a few trees to choose from with older you can use a larger area to make it more challlenging. Many communities Fall Festival celebrations, from pumpkin patches to hayrides, corn mazes and barbeques. 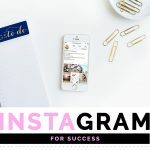 We have a variety here in Calgary, from the Calgary Corn Maze, where they have a petting zoo, jumping pillow and corn cannons; to events at Heritage Park such as the Harvest Sale and Railway Days. Check out your local community events to find something that speaks to you. There are so many materials in the natural environment, especially in the Fall, to create all kinds of wonderful crafts and activities. When gathering materials for crafts please encourage the children to take things from the ground (whether it be leaves, pine cones, etc.) and not from the live trees and plants as this could damage or kill them. There are great crafts such as twig fairies, autumn looms (to display all the natural treasures they find), word searches and coloring pages. 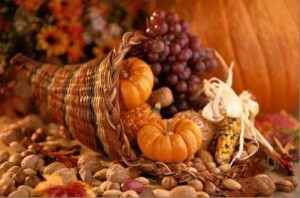 Just Google ‘Fall Activities and Crafts’ and all kinds of great websites will come up. 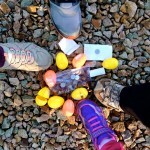 Some of my favorite sites are Enchanted Learning and Family Fun. 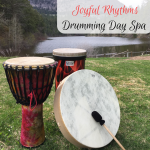 Fall is a beautiful season, so get out and explore it, let the kids fill a bag of goodies (natural items) and then come home and see what you can do with them. Encourage the kids to create their own crafts and games from what they have found. It is a wonderful time to be creative and use their imagination and they’ll be learning about the natural world and all she has to offer at the same time!